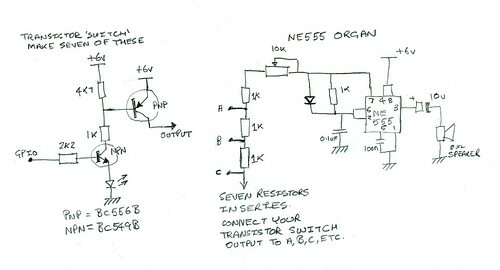 Here is a circuit that allows you to use five buttons; up, down, left, right and select, on one analogue pin with the Arduino. 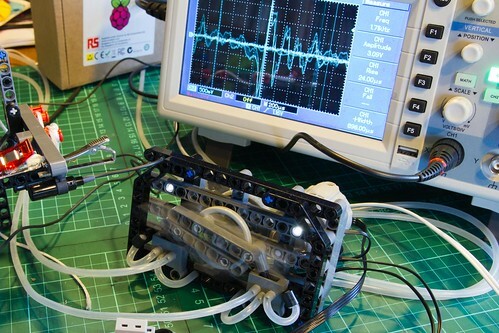 It is a adaptation of one used on this LCD shield manufactured by DF Robot. I have used a 10K pull-up resistor and added a 100nF capacitor to help with debounce. The downside is that this can only detect one button press at a time, the button with the lowest resistor value is returned, and the output varies when different voltages are used to power it requiring an update to your software. float max3V3 = 671; // maximum value read when 3.3 volts used. // the arduino uno is set to read analogue ports at 5v. So has a lower maximum at 3.3 volts. showVolts(analogRead(sensorPin)); // with no button pressed, this should equal volts. The results from this are shown in the chart below, for the power I used the regulated 5V and 3.3V outputs on the Ardunio Uno, if you run this set-up yourself you may notice an anomalous reading when you release the button, more about this later. Note that a button press drops the power down to the recorded value, the pin is normally high (5V/3.3V) through the 10K resistor. 1: Total value of the resistors in series at the button. 2: this is an average, the actual reading can vary. 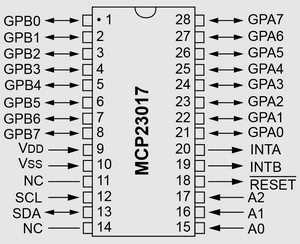 There are two columns for the resistance, the value marked on the resistors and the multimeter reading. It is best to use 1% tolerance resistors for this circuit to reduce the chances of the readings drifting close to the next. 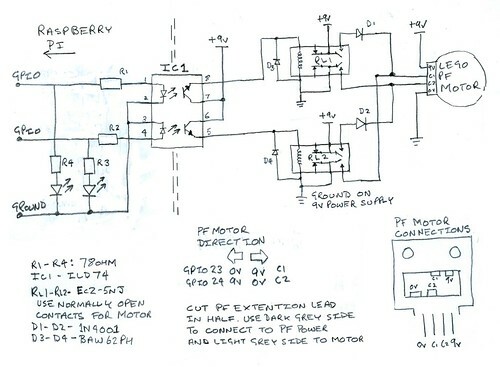 A good spread of output voltages ensures accurate switching. All this works very well, but what to do if you wish to add more buttons, or have different output voltages? Looking at the circuit, each button can be seen as a voltage divider, such as shown in the diagram on the left. Where R1 is the 10K pull-up resistor and R2 is the sum of the resistors for the button being pressed. With this simplified model we can calculate any missing value, but for now there are a couple of things to do; calculate the output voltage for the given input voltage and resistance and more usefully for us, work out a value for R2 to give us the desired output voltage. its rather satisfying when your calculations closely agree with the real world readings. Obviously, we will need to get this onto breadboard for testing. Using the same sketch as before I re-ran the tests with the new resistor values, the results are shown below; I have also included an Expected column to show the calculated voltage using the method shown earlier. // which analog select button has been pressed? Clearly, using four decimal places shows is that a 510 ohm resistor is rounded up to 0.60V, while the 560 ohm rounds up to 0.61V, so for our purposes both are suitable. The other resistors will be outside the specification. I am needing to control a solenoid from the Arduino to do some high speed water splash photography. The Solenoid works at 12v and draws up to 2.5w when open, obviously a direct connection to the Arduino is out of the question. Looking in my parts bucket I found an FQP30N06L MOSFET and recalled that I’d used these to control a small motor. The FQP30N06L is a N-Channel MOSFET and can switch up to 60V DC at 32A, this is more than chunky enough for the solenoid. For use with the Arduino it needs to have ‘logic-level’ switching of 5V, looking at the datasheet for the Static Drain-Source On-Resistance – RDS(on) we can see a test condition where VGS=5V (or 4.5V) exists then we know the MOSFET is suitable. D1: 1N4002 Diode – provides surge suppression from the solenoid, this protects the MOSFET from inductive voltage ‘kickback’. R1: 220R Resistor – current limiting, see below. The resistor R1 is there to protect the Arduino. 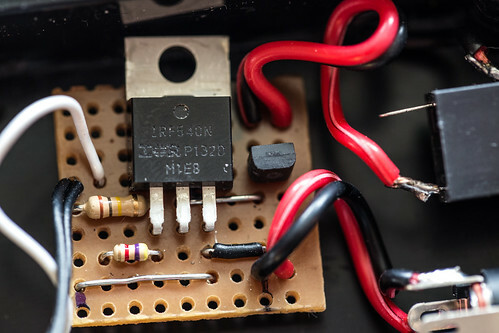 On a MOSFET when a voltage is first applied to the Gate it can appear as a short to ground, limiting the current will prevent a surge that may cause damage. The Arduino supplies 5V at 40mA on a digital I/O pin. 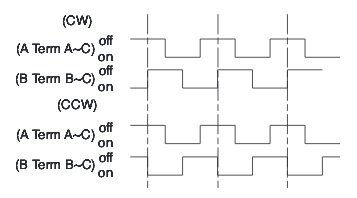 A MOSFET switches when there is a charge at the Gate, the higher the charge the wider the gate opens and more current can flow through the Source to the Drain. Looking on the datasheet for our MOSFET the Gate Threshold Voltage VGS(th) shows a minimum of 1V and a maximum of 2.5V, this means that below 1V the gate is closed, at 1V the gate is ajar, as the voltage increases the gate opens wider until you reach 2.5V where it is fully open, power can go above this but the gate will not open any further. Going above 20V on the gate VGS will break the MOSFET. Ground on the Ardunio is shared with the 12V power supply for the solenoid. 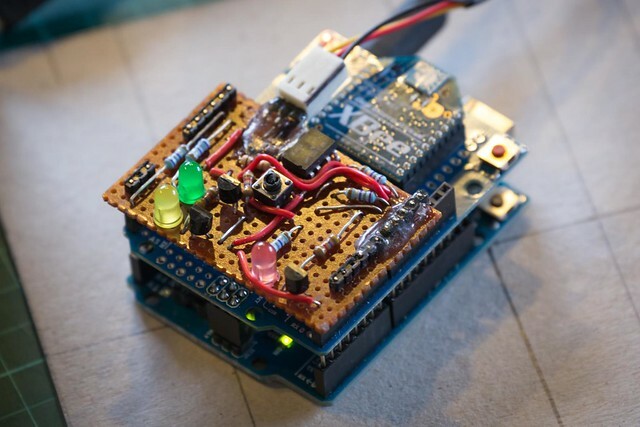 Connect the circuit to your Arduino, the MOFSET’s gate to a digital output and ground. You may want to avoid digital pins 0 and 1 as these are on the serial port and can cause the solenoid to rattle unexpectedly. Comedy effect can be had by reducing the timings to milliseconds, although keeping that up for too long will probably knacker the solenoid. For my Spangaly Stick project, more of which later, I have been wanting to add a remote control function for the camera for a while now and with the extended winter I found I had the time. I am using an Arduino micro-controller fitted with an XBee wireless shield to respond to a keyword sent by another Arduino with a similar setup, or from a computer with an XBee on a USB port. This board had been built to work with the Canon EOS DSLR range of cameras, but should work with other makes of camera fitted with an electronic remote socket. For basic use the camera should be set in Aperture Priority (Av) mode with the lens set to manual focus and if your using a tripod switch off any image stabilization. A battery to power the Arduino, I use a 12v 1.3Ah Sealed Lead Acid. Ability to solder, read circuit diagrams, etc..
For this remote to work, you will need to configure two XBees to talk to each other. 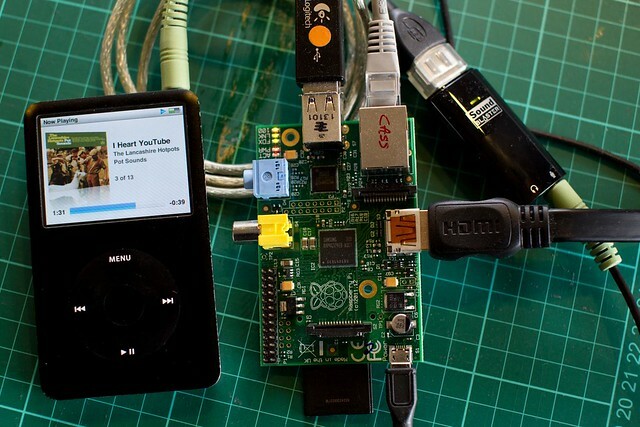 The easy way to do this is using the X-CTU tool (unfortunately it is Windows only) and a XBee USB Adapter. The XBees come in two main types, the Series One (S1) and Series Two (S2) they will need to be of both the same series to talk to each other, I have used Series One bees here, but not the ones without the sticking out antenna as I suspect they may be a bit delicate. While the XbeeSheid configuration is documented on the arduino site, I shall summarise here. With the XBee plugged into the USB adapter and the adapter plugged into the computer wait for it to be detected by Windows then you can configure it. In X-CTU, on the PC Settings Tab, select the USB Serial Port. 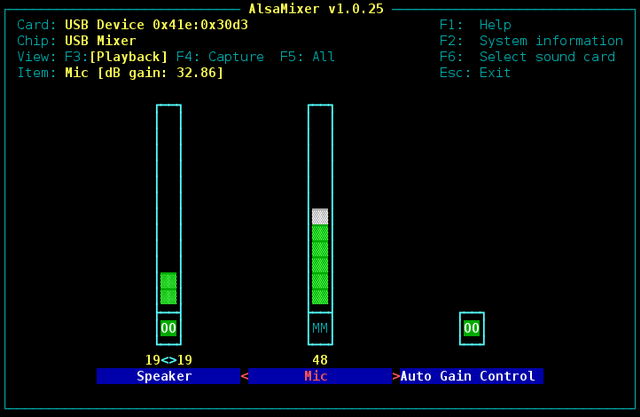 By default the XBee is set to baud: 9600, flow: None, data: 8, parity: None, stop: 1. Click the Test/Query button you should see some basic XBee settings, if it says it cannot communicate, try a different baud rate. Higher baud rates are available, but whats the rush? Now click the Modem Configuration tab, under Modem Parameter and Firmware, click Read, after a pause at the top of the list The modem indicated will be whatever model you have, in my case XB24, select the function set we will be using: XBEE 802.5.4 RS485 ADAPTER and the firmware version: 13E8. You will need to set the Networking & Security Channel (CH) and the PAN ID (ID) to the same on both, as well as check the Serial Interfacing are set correctly, Interface Data Rate (BD): 3 – 9600, Parity (NB): 0 – NONE. Click Write to save the settings to the XBee. For testing the XBee’s, I had one plugged into the USB adapter and the other placed into the the XBee Shield, an LED fitted across Digital Output 12 and Ground, and sent the following program to the Arduino, remembering to flick the little switch on the shield to USB for programming, and Micro for XBee emissions. The circuit I made for taking photos includes the focus, this is optional but I have included it so the camera can be woken up before the picture is taken. 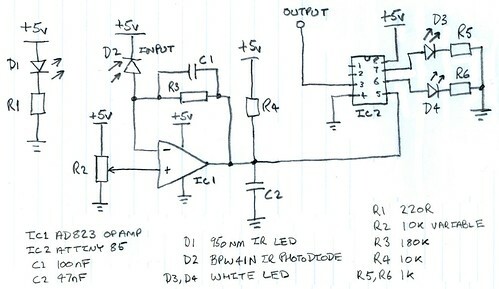 An ILD74 opto-isolater is used to electrically separate the camera from the Arduino, it also simplified the circuit not having to use transistors. The LED’s are useful additions but are optional. 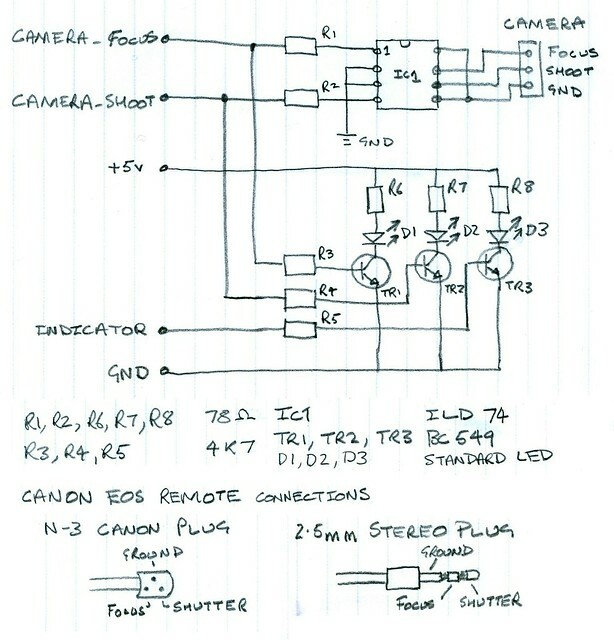 The diagram also shows the Canon Remote connections. Most use a 2.5mm stereo jack plug, but the more expensive cameras have a proprietary Canon N3 connector, to get the lead you will need to sacrifice a wired remote, one of these can be gotten of ebay very cheaply, about £3.00. The colours for the wires can be anything, so you will need check with a continuity tester. 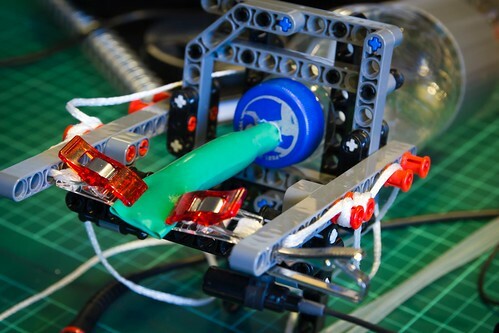 The program on the Arduino listens for a keyword, in this case ‘PHOTO’ which then triggers the picture taking sequence first by setting the focus to wake the camera up then taking the picture. The Indicator LED is used to show activity on the serial port. The Raspberry Pi is a small computer, and as such an obvious but important question occurred to me, and despite Google, I was unable to find an answer. So using science, LEGO, a balloon, and a compressed air supply I set out to discover if the Raspberry Pi could indeed blow a raspberry. To which I connected a large LEGO PF motor. This is used to switch the pneumatic valves via a clutch cog and a large cog. I used a 9v power supply for this, but a PF Battery box can be used, cut an PF extension lead in half, use the light grey side for the motor, and the dark grey end to connect to the battery box. My compressed air supply operates at 2bar / 30 psi, it was built to work with LEGO pneumatics, I found that anything much above that pressure would cause the pipes to pop off the connectors. Obviously I needed something that would make a sound. For this, a balloon (the sausage type), a small pop bottle, and some more LEGO were suffice. The air is injected into the bottle trough a couple of holes at the rear. 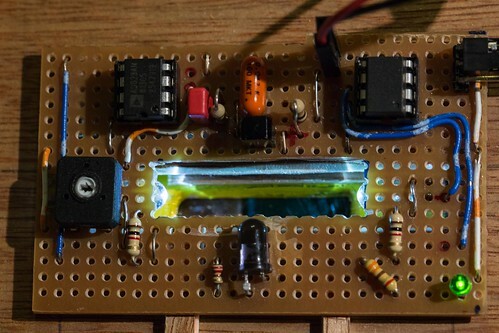 I have built a Toy Organ using a NE555 timer chip and have controlled it with the Raspberry Pi. 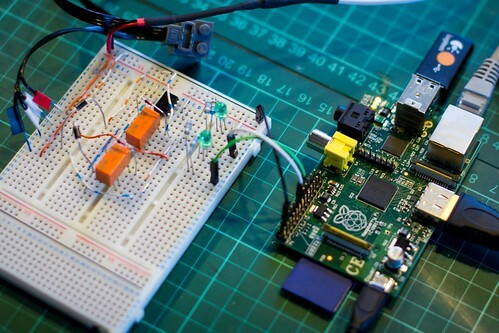 If you are building this, remember to test with a 6v battery to power the circuit and use a 3v battery on the GPIO input points before you connect it to the Raspberry Pi.